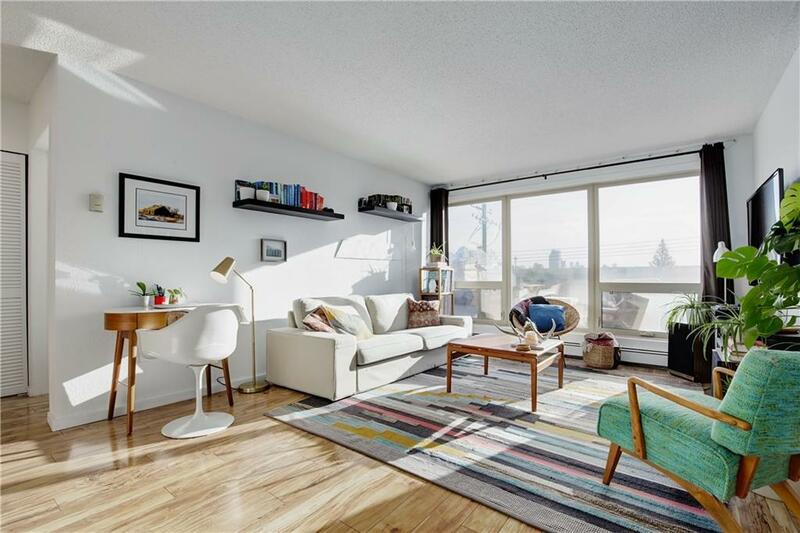 This bright and airy renovated condo offers awesome city views and is in a great location close to all the amenities of 17th Avenue and downtown. 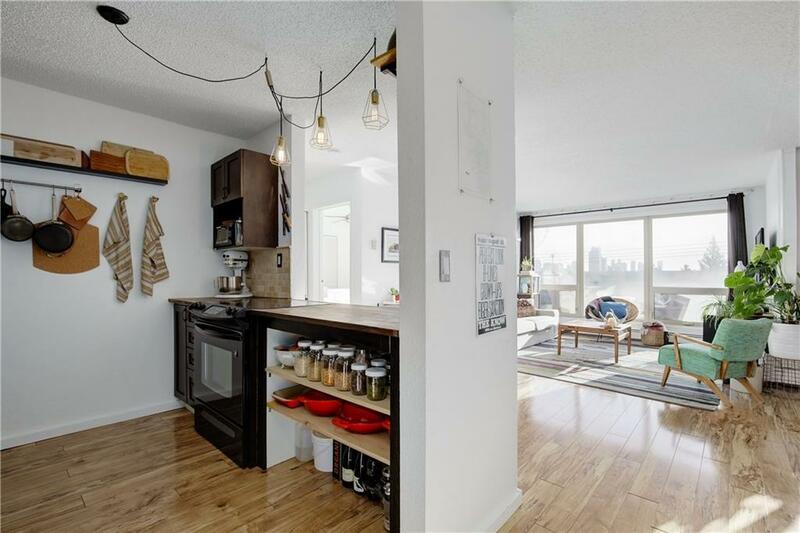 The kitchen has espresso coloured cabinets with black appliances and gorgeous laminate flooring throughout. 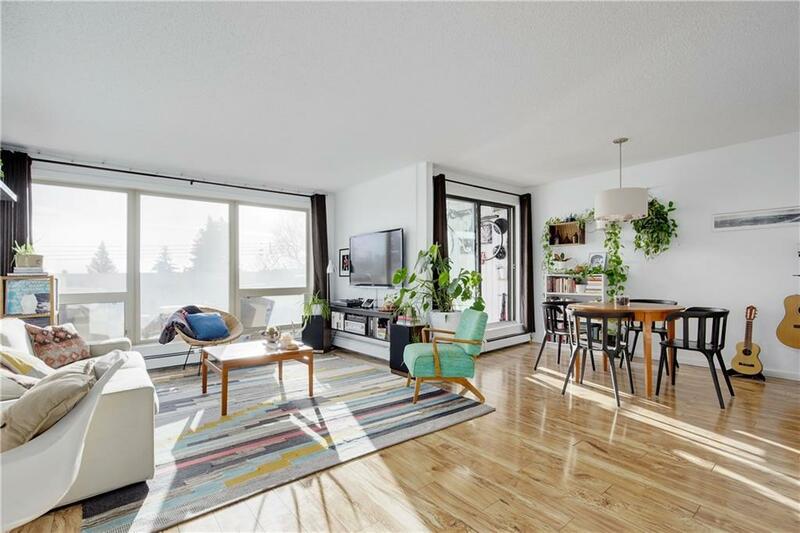 The open concept is perfect for entertaining or relaxing and the large windows allowing natural light to fill the home. A sunroom/workshop leads to a very generous patio area, a rare find in the inner city, perfect for enjoying those warm summer evenings. The 4 piece bathroom was recently renovated, complete with storage and IN-SUITE LAUNDRY. The building is completed with a small gym area and games room. A perfect inner city location for the young professional. 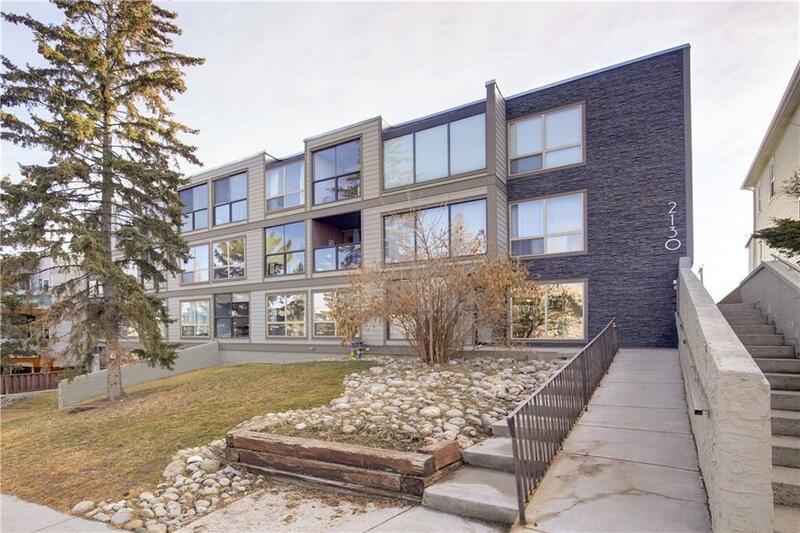 It is surrounded by trendy shops and restaurants, less than a 30-minute walk to downtown, 15 minutes to the Sunalta Ctrain, and near several schools and parks. Pet-friendly.